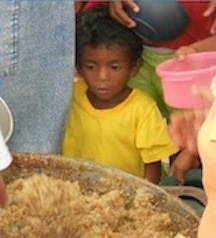 EMA established New Hope Children's Foundation in Nicaragua in 2004. To take the love of Christ to hopeless children of Central America by providing clothing, shoes, food, education, medical care, loving homes and, most importantly, spiritual guidance. 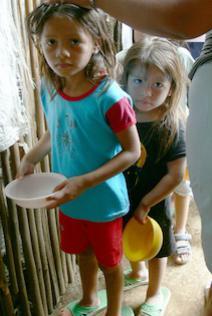 Many poor children in Central America live in countries that have been almost destroyed by wars or natural disasters. Because the lives of many parents have been lost to these catastrophes, many children often are on their own, even by the early age of five. It only takes one look into the eyes of the homeless children in Central America to see the hopelessness of their situation. In many areas of these countries, poverty abounds. If the cycle of poverty and abuse is broken in the lives of some of these precious children it will be because you and I did something to make a difference.Together, we can help children learn to live a healthy and productive life. We can take them off the streets and help them become literate by providing them with schooling. NHCF is ministering to as many of these children as possible to help prepare them for the future from a physical as well as spiritual perspective. 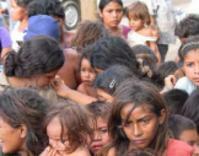 New Hope's ministry to the children of Nicaragua reaching out across the nation. 1) receiving a Christ-centered education at More Than Conquerors elementary and high school. 2) being fed and receiving the Gospel at 35 New Hope Feeding Centers (well over one million fed since 2004). since beginning). ​4) operated an agricultural project at New Hope Ranch that consists of 175 acres in one of the most remote areas of Nicaragua. 5) established and operates the first Christian radio station in the remote village of Kisalaya that is reaching Miskito Indians in the rainforest in their own Miskito language. We often take mission trips from Ennis to Nicaragua. If you would like to go with Dr. Ford on his December trip of this year, please contact him at: (972) 204-5790. For additional information and videos click on the pictures below to go to two of New Hope's websites.